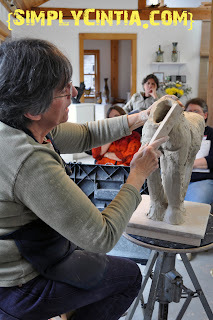 This weekend I am having the honor of getting videos and photos of Nancy Jacobsohn, ceramic artist and sculptor, at the Winter Workshop my friend Sarah Rolland hosts in her art studio. This is my first time watching an artist at work. I'm taking in all the creativity, using my own through video and photos as well as getting some great tips about selling work, business associates and the world of artists. I'm amazed at all the talent in the room. I'm amazed at what human hands can do. 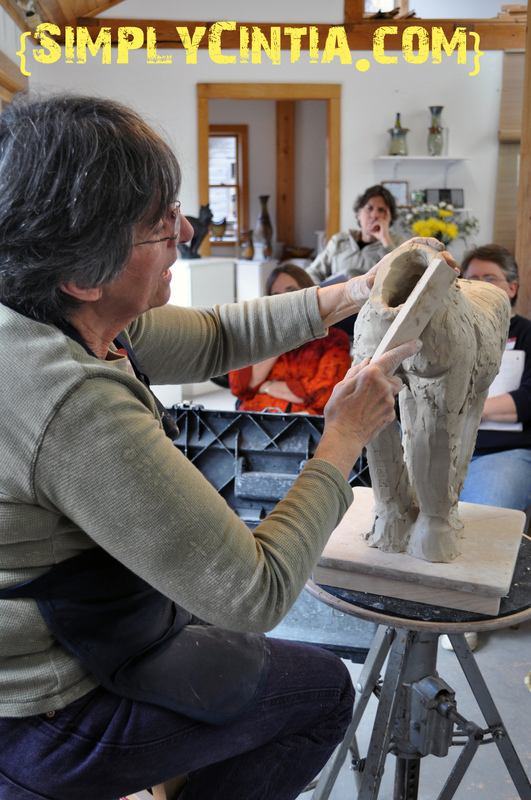 Nancy teaches an amazing workshop because she is the real deal. I'm thankful for being part of this workshop as a journalist. I'm thankful to God for opening doors! My blog makes it to a major website! 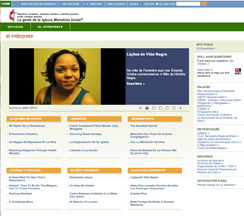 One of my blog posts in Portuguese is being featured online at El Intérprete mazine, which is the Spanish language maganize for The United Methodist Church. I'm so thankful to God for this opportunity as well! 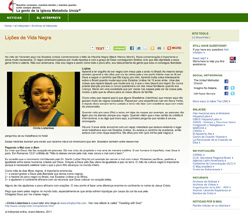 Here is the link to the story in Portuguese, as soon as I have an English versions I'll let you know. Unwilling to have a repeat of 2010, I've been praying and believing God for opportunities and open doors. Launching my eBook was a huge opportunity. The workshop as well as the exposure at UMC.org have also been open doors. I'm thankful to God and I am learning what it takes to take on mountains and carving opportunities where it seems there are none. My friend, it's just February. Let's believe God, do the work and have a magnificent year. Yes you can!